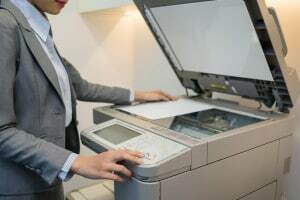 If you are looking for a new printer for your office then you should consider what you really need. There are a ton of great options for those who demand the biggest, most powerful machines. However, it can be difficult to find solutions on great machines that are made to save you money. However, with the WorkCentre 7220/7225 you can get a great machine that won’t hurt your bottom line. The WorkCentre 7220/7225 is an amazing machine for those who demand control over both processes and spending. This printer gives you the technology you need to complete today’s jobs, while offering money saving solutions. Features like these give you the power and confidence to take on your daily jobs with confidence. However, it’s the ability to customize to save that really makes this machine great. The WorkCentre 7220/7225 comes with a number of customizable features that let you save money. You can set default setting, like printing all emails on black and white, in order to save money. It will also help you convert to paperless documents by creating searchable PDFs and ISO standard PDF-A documents for easier organization. The WorkCentre 7220/7225 is a great machine if you are worried about getting the most for your money. Give us a call today to learn more about the WorkCentre 7220/7225.